Parkshore is a not-for-profit continuing-care retirement community in Seattle, WA. The $30 million renovation of the 17-story luxury retirement community included a significant upgrade to the door openings. American Direct and AccessNsite were brought on board at the beginning of the project to design and deliver a totally integrated safety and security solution for 119 resident units and common areas. To streamline installation, reduce overall cost, and ensure reliable long-term security of the openings at Parkshore, American Direct pre-installed Sargent IN-120 IP Wifi locksets by ASSA ABLOY, which were also pre-programmed with AccessNsite access control software and delivered to the site ready to install. American Direct’s Vice President of Enterprise Systems, Brian Ashley, consulted at the outset of the project with the Parkshore IT manager to determine security strategy, Division 8 and Division 28 specifications, wireless network settings, and server configuration. 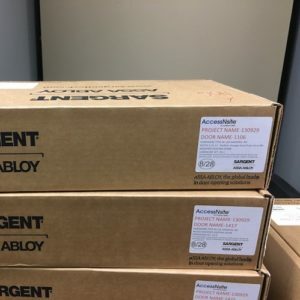 With a comprehensive access control plan in place, the locksets were shipped to American Direct’s Fulfillment Center in Lenexa, KS, where they were individually programmed and pre-loaded with HID 1 class credentials and access rights and labeled to correspond with specific openings at Parkshore. The locks and doors were then shipped to the job site, where they were prepped and hung with the intelligent lock pre-installed and ready to activate. 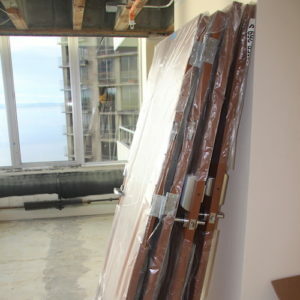 The installers only needed to hang the doors and put batteries in the locksets, significantly reducing installation time. Intelligent locks offer a wealth of valuable data to end users. For example, AccessNsite, the software powering Parkshore’s access control solution, allows the end user to pull audits to see who has gone through a specific door. If an item goes missing in a resident’s apartment, it’s simple to determine exactly who accessed the door, and when. Also, if a resident loses a key fob, the locks can be reprogrammed quickly and easily to the replacement fob. With Parkshore, the access control software is hosted offsite at the corporate office of Transforming Age, owner of Parkshore and 12 other retirement communities across the U.S. With AccessNsite’s inherent scalability and flexibility, Transforming Age can use the same access control server for multiple retirement communities in several geographic locations, with very little modification needed to their current setup. In future phases of the Parkshore renovation, additional Intelligent locks will be implemented for exterior entrances, doors to administration offices, medication rooms, and other highly confidential areas. With the existing integration of intelligent locks and AccessNsite software, adding and managing access rights will be quick and easy. Just as important, with American Direct and AccessNsite providing total integration in every phase of the door openings at Parkshore, the likelihood of intelligent lock failure is significantly reduced. For example, with traditional door opening projects — where multiple subcontractors work independently of one another — intelligent locks fail approximately 20% of the time after being installed. In most cases, this failure is due to the commercial integrator’s inexperience in working with intelligent openings. When these failures occur, it leaves the end user wondering who’s responsible for resolving the issue. With American Direct on the project, if service is needed, responsive local support is just a phone call away. 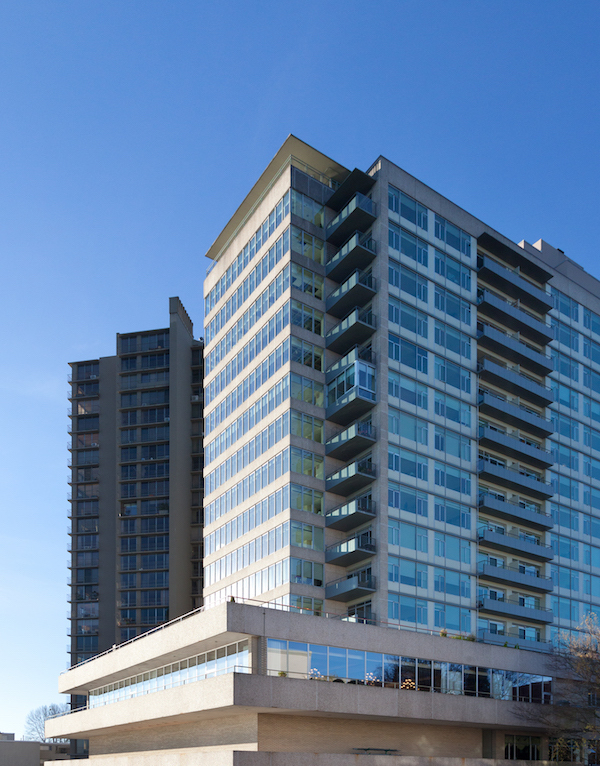 For residents, this totally integrated solution is virtual connectivity at its best. The Sargent IN-120 IP lockset and fob are intuitive to use and provide residents with seamless access to individual units, as well as the many common areas. Parkshore’s Facility Director, David Gielczyk, sees residents preferring a key fob to a traditional lock and key, whose operation can be challenging for people with arthritis. For an additional level of security, the apartment doors are programmed to lock whenever they close, though there is a button on the inside of the door that, when engaged, will keep the door from locking at close. 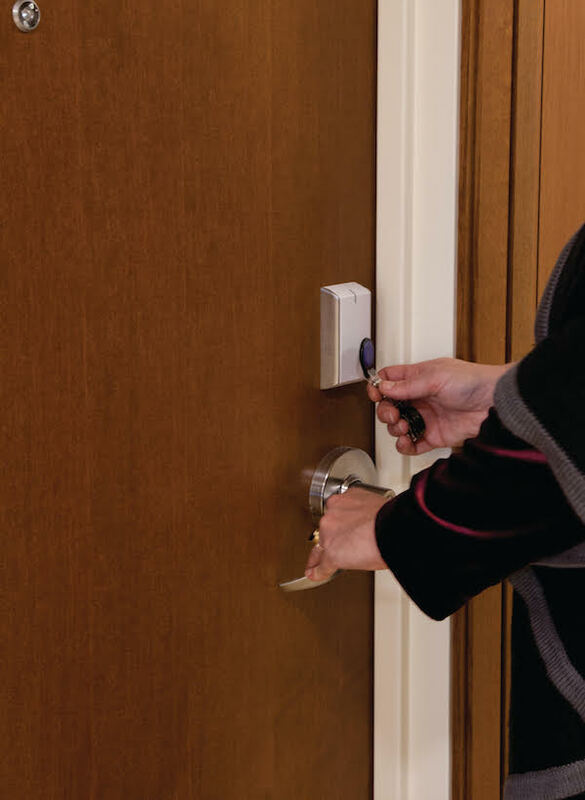 In addition, the AccessNsite system can be programmed to lock all apartment entry doors at the same time at the end of the day, making sure any resident who had the “no lock” button activated can rest assured they are safe and secure when retiring for the evening. The AccessNsite system also allows for an immediate lock down for all doors in the event of an emergency or intrusion. Together with AccessNsite, American Direct is the only company in the industry capable of combining Division 8 and Division 28 product, service, and expertise to deliver 100% totally integrated safety and security solutions. With American Direct Fulfillment Centers located throughout the United States, clients benefit from both the buying power and deep expertise of a company with national reach, as well as responsive on-the-ground local service and support every step of the way. With the Parkshore Retirement Community project, this total integration saved the general contractor and end user significant time, money, and stress. Most important, it created a safer, more secure community for residents to enjoy their golden years. To learn more about how you can partner with American Direct and AccessNsite to bring totally integrated safety and security solutions to your project, email info@accessnsite.com or call 913.677.5588.